Looking for some stocking fillers? Look no further. These cute Mini Lalaloopsy Loopy Hair dolls have fantastic hair to groom and come complete with hair accessories and a brush to style them! The cute new Mini Lalaloopsy™ Loopy Hair dolls have amazing yarn hair, which you can curl, twist, braid, brush and straighten into loads of different styles. The dolls are miniature-sized versions of the larger Loopy Hair dolls, which can fit inside the palm of your hand. They each come packaged in their very own houses, which children can keep to help recreate the magical world of Lalaloopsy™ land for themselves. The sweet dolls have moveable arms, legs and head. Each character is individual, making them perfect to collect. 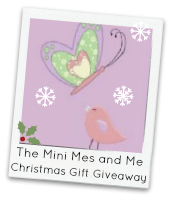 For your chance to win 1 of 4 Mini Lalaloopsy Hair Dolls you can enter via the Rafflecopter entry form below. Mini Lalaloopsy™ Loopy Hair dolls are priced at around £8.99, suitable for ages four plus and available from all good toy retailers nationwide. Ah finally its letting it post as me! Well this afternoon I really fancy some walnuts for some reason! So am going to say walnuts! I would love a Hotel Chocolat hamper! iPad, but that seems unlikely. I'd love some posh sheepskin slippers, but only if Father Christmas was paying as they're beyond me! some luxury skin care :) and perfume! A new charm for my pandora bracelet! some new books and chocolate! Some warm gloves and a scarf! Told hubby nothing as his overdraft is too big!! In my Christmas Stocking I'd love to find a new journal! Thinner legs! hahaha Hope it made you smile! I'm hoping Santa will bring me a new digital camera.